WMFA will be collecting your donations and bringing a check in that amount to the Boro Park Shomrim headquarters in Boro Park, Brooklyn, at the time our fundraising goal is met. 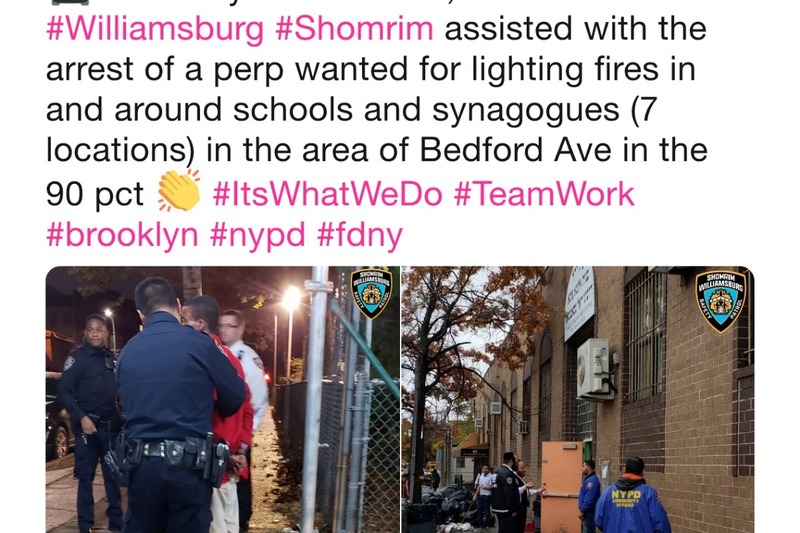 #WMFA wishes to express our admiration and gratitude to Shomrim of Boro Park as we aim to support their vital day-to-day activity in protecting Boro Park residents while assisting the NYPD as well as working in coalition with all Shomrim chapters around the boroughs. Donating to Shomrim assists essential crime-busting work in New York City. Boro Park Shomrim is a registered 501(c)3 organization that is trained by the NYPD as a neighborhood safety patrol. They protect innocent people from attacks and assist the NYPD by making citizens arrests. Shomrim (defenders, watchers, guards) are trained to apprehend attackers and hold them until police arrive. Besides being trained to apprehend attackers and hold them until the police arrive, Shomrim assist in numerous types of crimes, missing persons cases and 70% of victims assisted are from outside the Hassidic community. You don't have to be Jewish to join Shomrim but you do have to be tough. All volunteer 1st responder organization BPShomrim made the citizen arrest of Lipa Schwartz' attacker so NYPD could take him into custody. Williamsburg Shomrim assisted NYPD in apprehending the perpetrator of anti-Semitic graffiti at Union Temple in Brooklyn. Follow the Shomrim coalition here!